High fruits setting and high yield. Fruits are small oblong with red flesh and very sweet taste. Skin displays dark green background with black-green stripes. 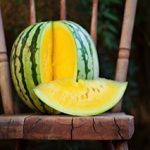 Rind is smooth and thin. Very resistant to cracking. That makes it suitable for transportation. 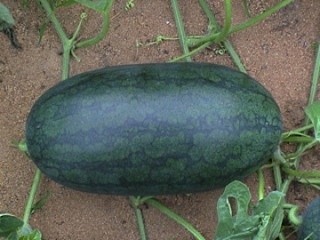 Medium maturity : about 70 – 75 days after sowing, weight: 2.5-3.5 kg (5.5-7.7 lb) per fruit. 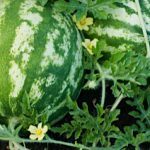 Resistant to Fusarium, Anthracnose and Phytophtora.